Jerry Williams Carter, Serving Punch – Tell my story. 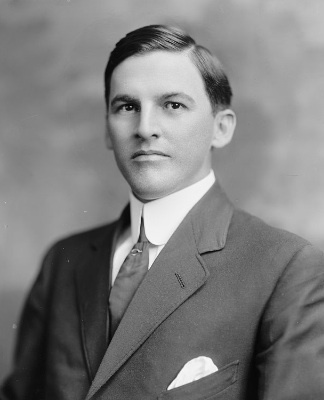 Jerry Williams Carter, also known as the “Old Campaigner,” was Emmett Wilson’s campaign manager in 1912. Emmett and Carter had something in common: The 1912 Third District Congressional race was the first political campaign for both men. I’m curious how Emmett and Carter met, but I’m not surprised. Emmett was considered a rising star in early 20th century West Florida politics. Carter, a Singer sewing machine salesman who connected well with the general public, wanted to switch careers. Both young men were well known, motivated, ambitious. I can see why the Florida Democratic party leadership probably put Emmett and Carter together. No one expected Emmett to do as well as he did against the incumbent Dannite Mays in the first primary (there were supposed to be two primary elections in 1912, with the two Democratic party winners facing off in June), but Mays withdrew from second primary only 48 hours after Emmett’s strong showing. Both Emmett and Carter’s hard work and ambition paid off. Ambition and hard work did wonders for Carter, as he eventually ran for U.S. Senate and Governor, but successfully became a Public Service Commissioner, serving several terms. Although Carter had a long and successful career as a public service commissioner, Carter’s family was his true pride and joy. Jerry enjoyed an active role in Florida politics throughout his busy, successful life. The best find about Jerry: He was a feisty, outspoken guy — someone you’d definitely want on your side, or running your campaign. Carter’s descendants donated his papers to the Florida State University archive in Tallahassee. I’m dying to take a look at Carter’s letters and memorabilia. Perhaps there’s postcards from Emmett; maybe photos of the two men together after the Emmett was elected in November, 1912; perhaps there’s punchy dialog in the correspondence between Emmett and Jerry! I can’t wait to look through the papers on my next visit to Florida!